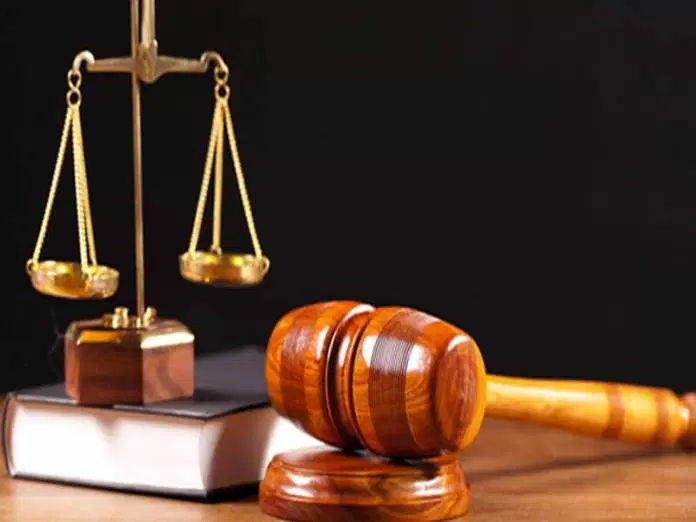 Justice Saliu Saidu of the Federal High Court in Lagos has ordered the final forfeiture of the sums of £578,080 found by the Economic and Financial Crimes Commission (EFCC) in the account of a maritime firm, ZAL Marine Limited, domiciled in Diamond Bank. Justice Saidu granted the order after entertaining the final forfeiture application argued by the counsel to the EFCC, Rotimi Oyedepo, under the provisions of section 17 of the Advance Fee Fraud and Other Related Offences Act, 2006. Oyedepo had claimed that the money sought to be forfeited was reasonably suspected to be proceeds of unlawful activities of the respondent. He alleged that the sum was stolen by the maritime firm through some employees of the Nigeria Maritime Administration and Safety Agency (NIMASA). The lawyer also submitted that “an application of this nature is designed to prevent the dissipation of funds/ property that is suspected to be proceeds of crime found in possession of any person without necessarily convicting the suspect in whose custody the property is found. In an affidavit attached to the application and disposed to by an investigating officer with the anti-graft agency, Musbahu Yahaya Abubakar, the commission stated that it received intelligence alleging a monumental fraud in NIMASA and that part of the proceeds of the said fraud was transferred to the respondent. Abubakar also averred that the respondent allegedly conspired with some employees of NIMASA, Macfoy Irene, Chukwu Emeka Emmanuel to defraud the agency. He further alleged that the said Irene used her position as an Assistant Director and Head of Nigerian Seafarers Development Programme to facilitate the fraudulent transfer of the sum of £1,074,600.00 from NIMASA’s Zenith Bank (UK) Account to an offshore account belonging to Swiss Bulk carriers S.A under the false pretenses of training 54 Nautical Science and Marine Engineering Students on Sea Training on 16th March, 2013. “That out of the said £1,074,600.00, the respondent herein without any contractual relationship with NIMASA also fraudulently received and retained the sum of £578,080 from Swiss Bulk Carriers S.A.
“That the fund was transferred from NIMASA’s account without any parastatal or ministerial tender board approval and/ or contract with NIMASA. “That there was no contractual relationship or agreement that existed between NIMASA, Swiss Bulk Carriers S.A and the respondent to warrant this fraudulent transfer of the funds sought to be forfeited. “That before effecting the said fraudulent transfer to Swiss Bulk Carrier S.A, the mandatory value added tax and remittance to the federal government of Nigeria was unlawfully evaded. “That the Respondent is a front company to Mrs. Irene U. Macfoy, An Assistant Director with NIMASA and the Head of the Nigeria Seafarers Development Programme. “That the respondent is an agent of Swiss Bulk Carriers S.A who fraudulently retained and converted to their use, the total sum of £496,520 out of the said £1,074,600. “That the respondent is reasonably suspected to have conspired with others to steal the above fund from the Federal Government of Nigeria, Abubakar stated. After listening to the lawyer, the judge granted the application as prayed.